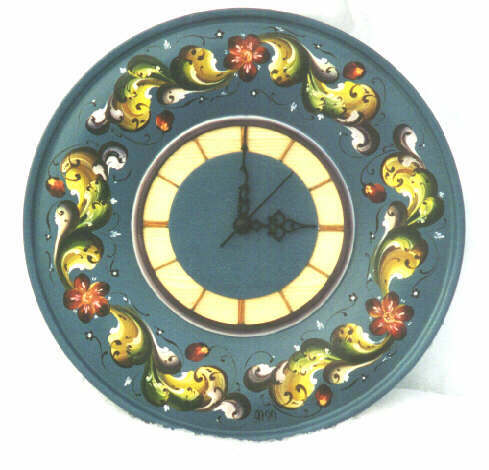 "Rosemaling" is a spesial painting that have been done in Norway for about 200 years. The painting is different from different areas in Norway. The most famous painting is Telemark "Roses" and Halling "Roses". As we live in Nes Parish in Hallingdal we will be showing on this page what we make and also different other works that have been made here in Hallingdal by other painters. My wife who is the painter have been doing this for the last 6 years. She is studying the art work from Hallingdal and try to take the best from the different painters making her own style. There is no written rules how you should to make this. But by studying and looking and the most important - by praktic - she have become a good artist. 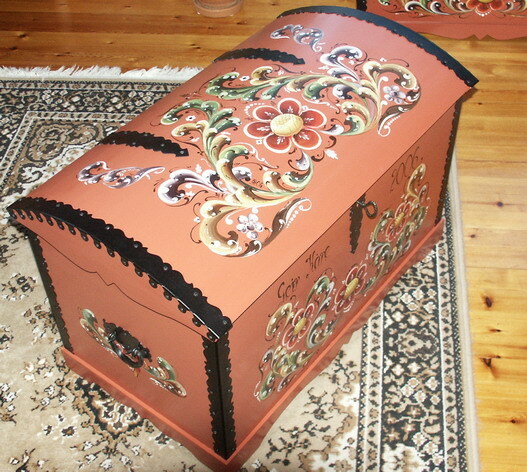 A chest (412kb) made by me and painted by Anna. 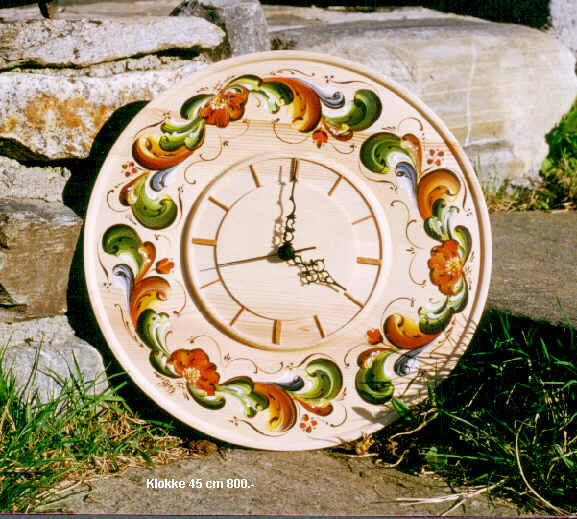 A wood clock from natural wood. 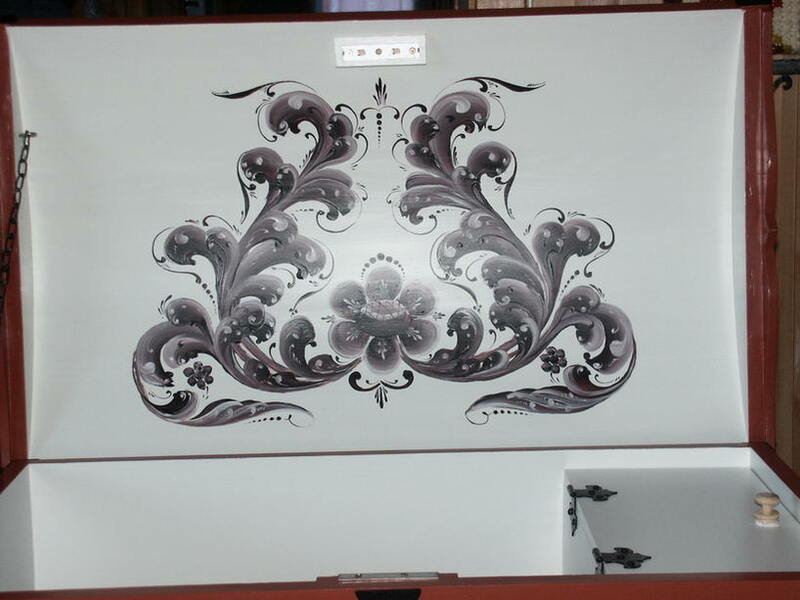 We use normally pine and birtch tree for this kind of woodwork. It is very stable and hard wood. A wood clock. Basic blue color. 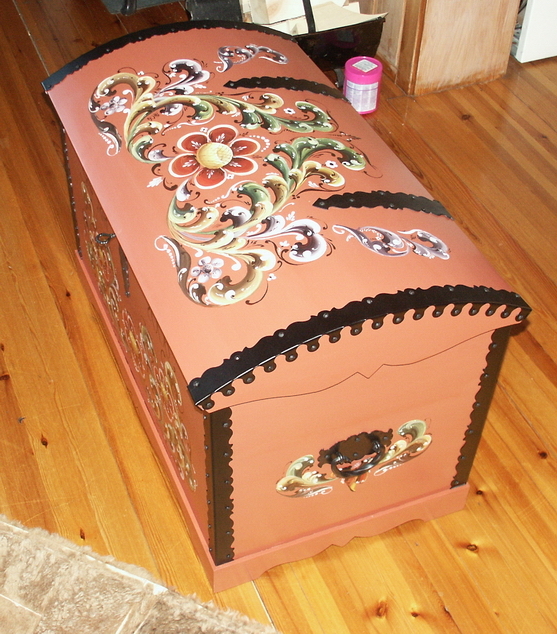 A cabinet Anna painted before the Christmas.